Want to cut back on the amount of meat you eat but not give it up entirely? Consider becoming an occasional vegetarian! I’ve always felt a bit uncomfortable about eating meat, and I was vegetarian for a period of time. However never eating meat just didn’t work for me long term, so I decided to reduce the occasions on which I ate meat as well as make a concerted effort to choose vegetarian options where possible. In short, I became an occasional vegetarian. To be fair, this wasn’t a huge leap for me. When I was growing up, I loved nearly ever vegetable I came across, aside from Brussel sprouts and lima beans. One of my favourite summer dinners was a plate of steamed asparagus with a couple poached eggs on top. My husband enjoys vegetables too, so it never occurred to our son not to like them. From broccoli ‘trees’ to his favourite (I kid you not!) Brussels Sprouts, our son has always loved veggies. I do struggle with the ethics of eating meat, and I feel very strongly that animals raised for meat must be ethically and humanely raised. Any meat I eat is ethically, sustainably raised and preferably organic. Battery eggs or for industrially reared meat have no place in our food chain. The idea that a chicken can legally be reared from chick to full grown in a matter of weeks, crushed into a barn with no space to move, and never feel the sun on its back, absolutely incenses me. Intensive farming is unkind to animals, and due to the pressure it creates on the environment and the antibiotics often given to the animals, it is very bad for humans too. Do you feel something like this as well? Then consider joining my family and I as an occasional vegetarian. It’s delicious, good for you, and benefits your health and the family budget. Plus, it’s actually much easier than you might think. From breakfast to dinner, there’s something for everyone! Check out The Meatless Monday or Meat Free Monday movements. Both offer easy ways to gently introduce your family to meat free meals. 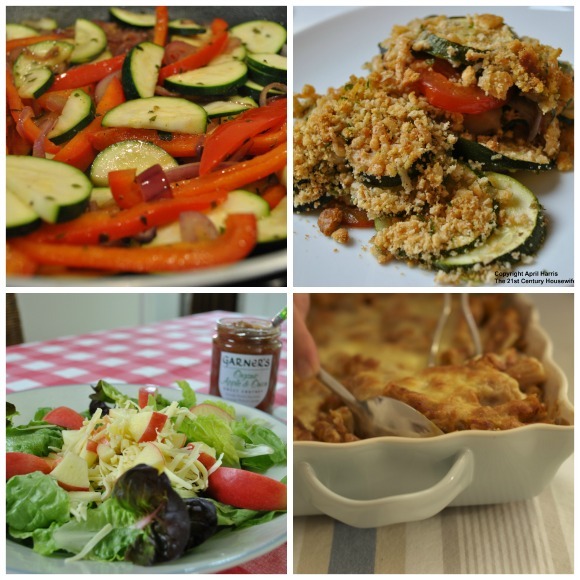 The Vegetarian Society also offers fantastic recipes and advice. Take it one meal at a time. If a whole day meat free is too much to start with, just try one meal. Every step forward helps. Try serving vegetables drizzled with a bit of butter or olive oil to encourage reluctant vegetable eaters. A bit of healthy fat never hurt anyone and it really does enhance their flavour. A pinch of salt can also make vegetables taste delicious, but always add salt after cooking. Explore vegetarian options in your favourite restaurants. There’s are some really creative and delicious dishes available these days. Being “Occasional Vegetarians” really works as a lifestyle for my family and I. We feel good about how our choice impacts on the environment and helps to reduce our carbon footprint. It’s also a delicious way to eat more healthily and save money. I encourage you to give it a try too! I adore anything featuring rice, pasta and cheese, so I am blissfully happy with mushroom risotto or veggie lasagne… and all of the dishes you list above sound great, too. Like you, though, I’m not ready to give up meat entirely. Plus, hubbie is much happier when there’s an animal component in most of his meals (men, bless’em!). In terms of health, I’m not sure that pigging out on cheese and carbs gives me many benefits, but nonetheless I’m delighted to be an occasional vegetarian. Great post! For us, it started with one meatless day a week; now we have perhaps two or three meat/poultry meals per week. In the beginning, cheese was out undoing, but we’ve got that habit under control. The more totally vegan meals the better. I’m an occasional vegetarian or, as Alea from Premeditated Leftovers once described it, an economic vegetarian. We eat vegetarian and least two or three days each week. It’s a healthy choice and is helps to stretch our grocery budget a lot further. I wouldn’t consider myself an occasional vegetarian as that almost sounds like a conscious decision. For me, a meal doesn’t have to have meat in and it’s quite normal for me to serve meatless meals. I just don’t think of them as meatless. We typically find ourselves not eating meat but only a day or two a week. We may go a week or two and we don’t really think about it. For me, it’s about health. I love meat. For my wife, she’s about the animals and the planet. If we can, we try to source meat from animals that have been treated properly (not always easy in my town)! But you gotta do your part and every tiny action has a big impact. A couple of days a week is good, Jaxx. And I agree, we all have to do our part. Sourcing meat from traditionally and humanely raised animals makes a big difference. 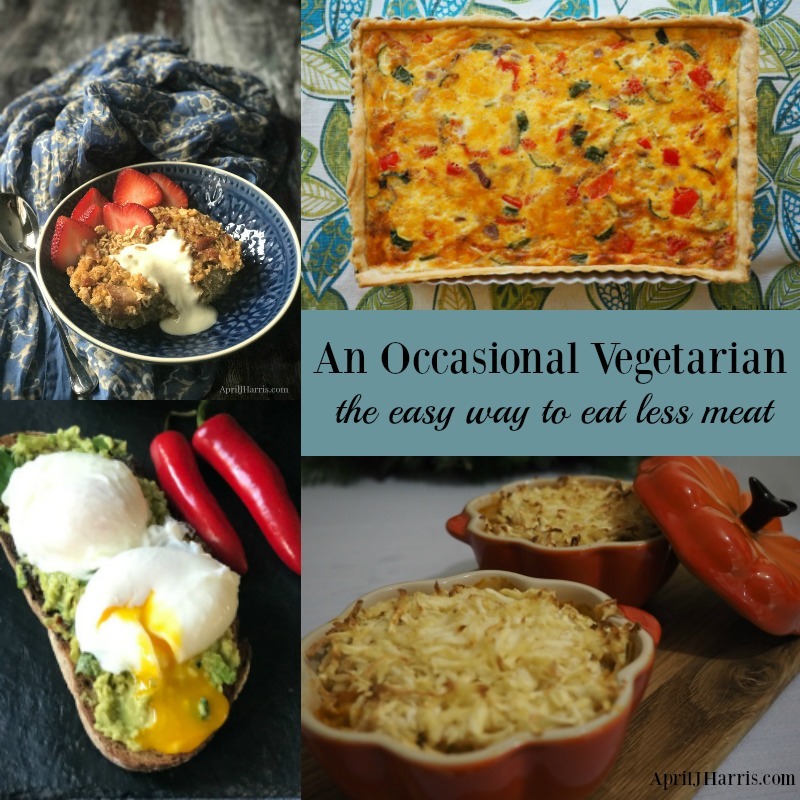 I LOVE your vegetarian recipes April! They always help inspire me to serve new meat-free dishes to my family…thank you! 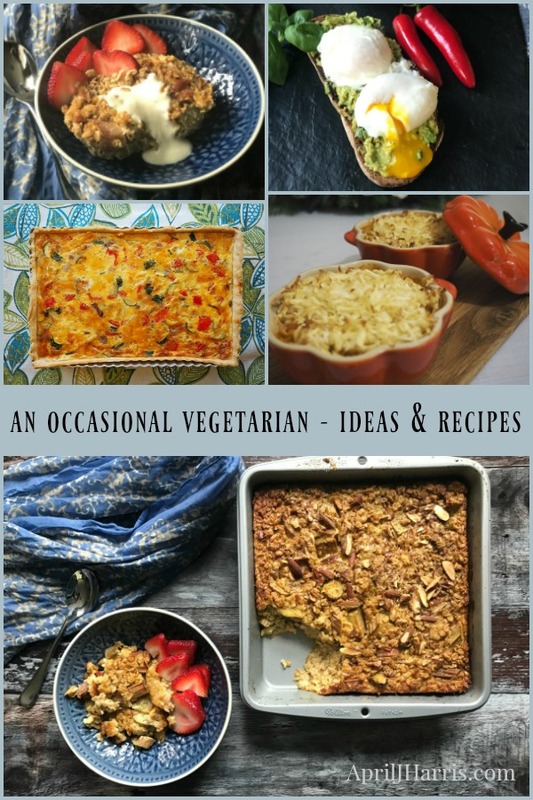 A delicious collection of vegetarian recipes. I often split my recipe and leave out a small portion for myself, and continue on with adding the meat for the rest of the family. Thanks so much for sharing this, I’m now going to consider myself ‘an occasional vegetarian’, it’s so me! 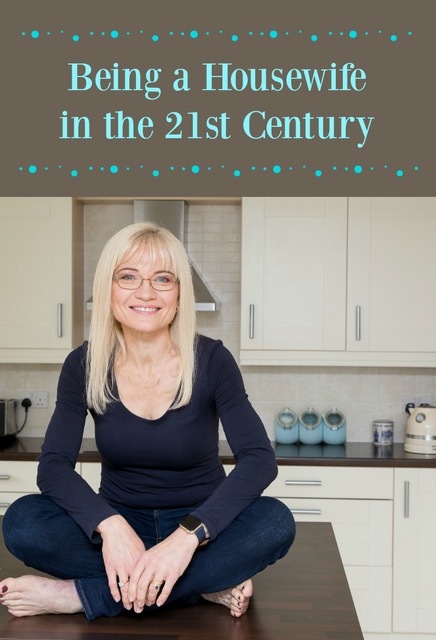 I’m so glad you like it, Joanne, and that the post – and the theme – resonated with you 🙂 Thank you! I like the idea of saying I am an “occasional vegetarian”. I don’t eat red meat and eat very little chicken and pork, but I do eat it. Whenever I tell someone that I don’t eat meat, they ask me if I am a vegetarian. I do love vegetables but don’t think I could live just on them! Your recipes sound wonderful. I want some asparagus with poached eggs now! Thank you, Ann Marie! I’m so glad this post resonated with you. I’m trying to cut back on the amount of red meat I eat actually, as when I do eat meat it is often my choice. I’m choosing chicken and pork much more often now when I do eat meat. I think we may have been sisters from another lifetime, April! Even though I grew up eating duck and such, as an adult, meat of any kind is a hard sell. The husband and I always buy free range organic eggs =) As for veggies, in Japan, the frozen kind were unheard of…so, yes I love my veggies, too. Love your assortment of vegetarian dishes. When I have a little extra time, I’ll have to try out each one! I`m not a big meat fan, so these all look super delicious to me! Thanks for the inspiration! I am with you on this one. The ethics of the big industrial farming practices are disgusting. I guess I am an occasional vegetarian as well because I don’t like meat all that much. I had never thought of it as being kinder to animals because sometimes I eat it. Great point though. April, this year, I am determined to find more tasty healthy meatless meals and I’m starting with your yummy collection! I hope you enjoy them, Linda 🙂 Happy New Year! Some lovely recipes here April. I love poached eggs and avocado. One of my favourite recipes 🙂 Thanks for sharing at Creative Mondays. Hope you can join us tomorrow.